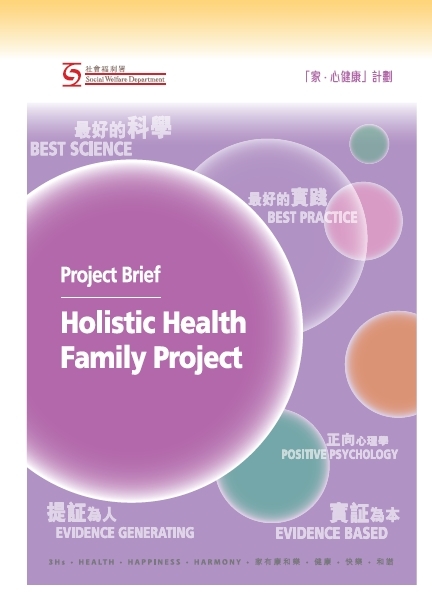 To facilitate knowledge transfer, the FAMILY Project has been publishing a series of reports and briefs for free collection. 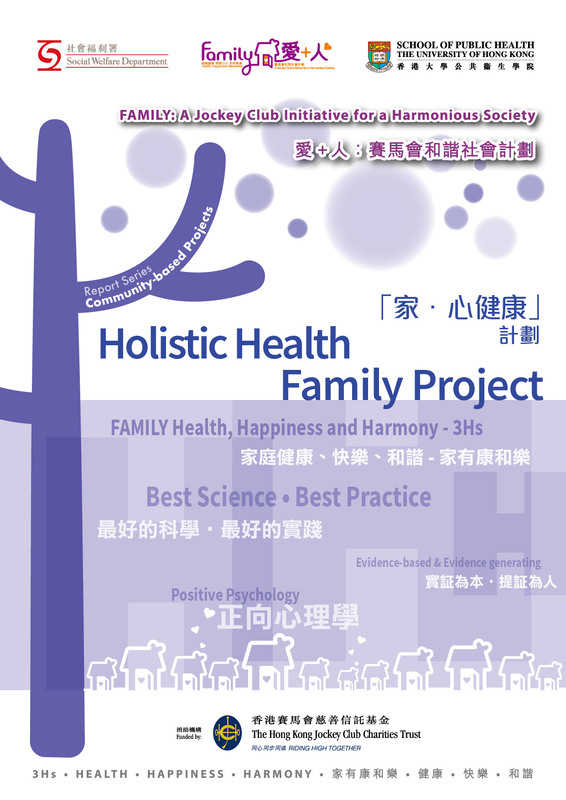 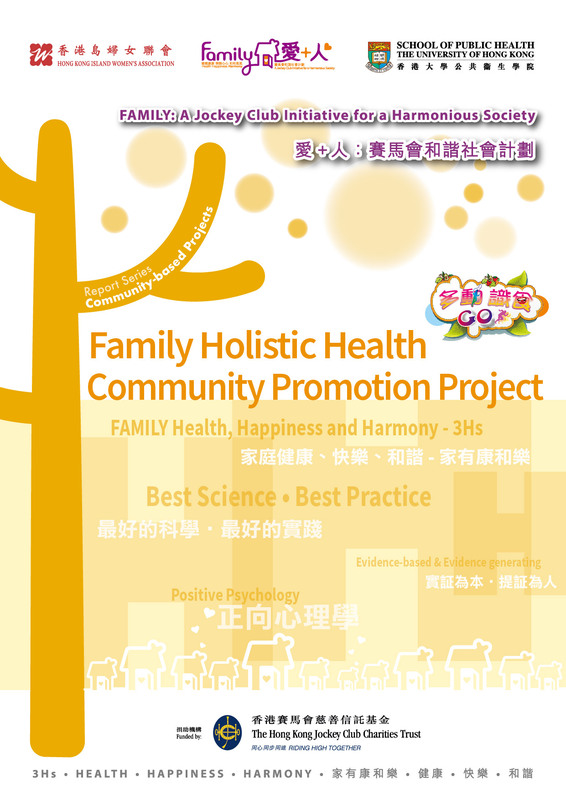 We hope to share the insightful findings and valuable project experiences with the community partners, stakeholders and the public through the publications, and further promote the messages of FAMILY 3Hs in Hong Kong and beyond. 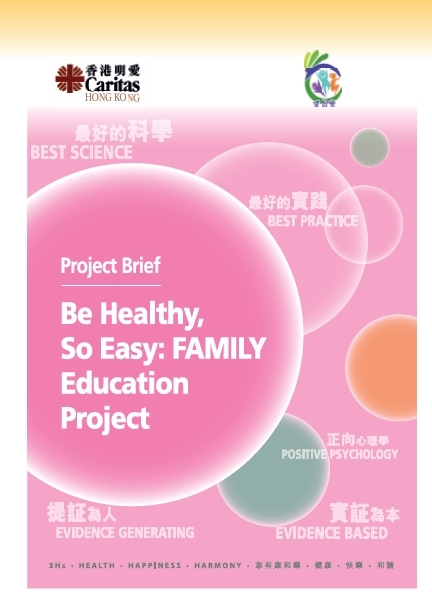 For all Project Briefs, please click here. 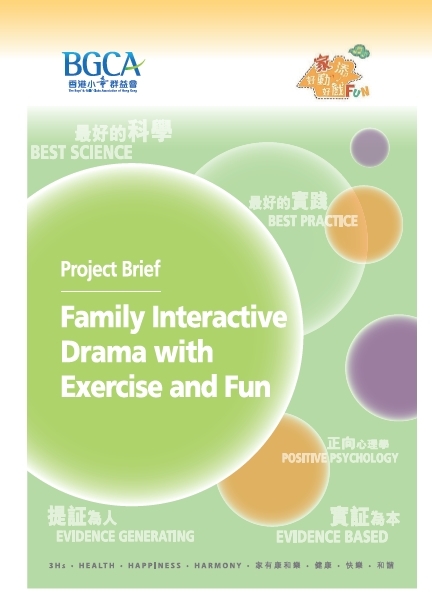 Physical activity – namely Zero Time Exercise – was used as a platform to enhance participants’ physical and mental health as well as positive family communication. 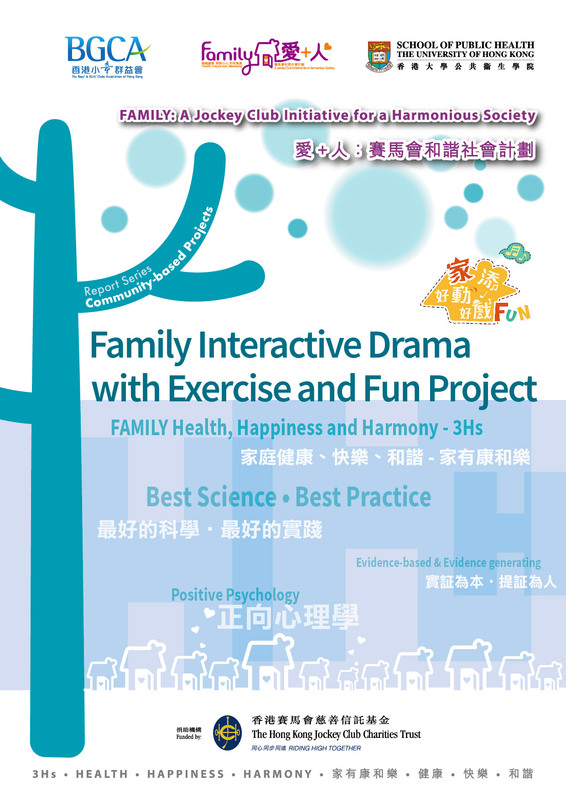 The project engaged young children and their families with fun and interactive drama performances which could facilitate better family communication and a healthy lifestyle. 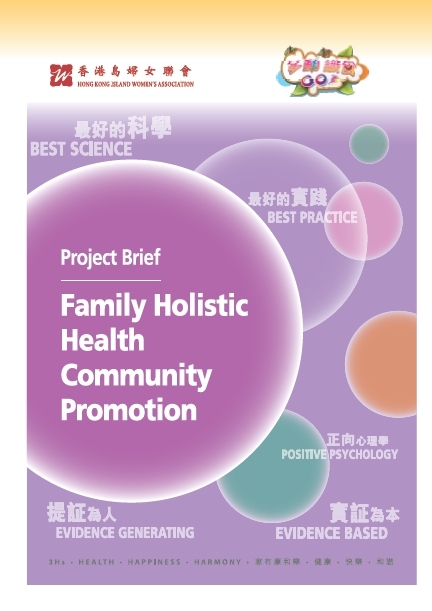 The project aims at improving FAMILY Holistic Health, through increasing physical activeness and implementing healthy diet as ways to show love and care to family members. 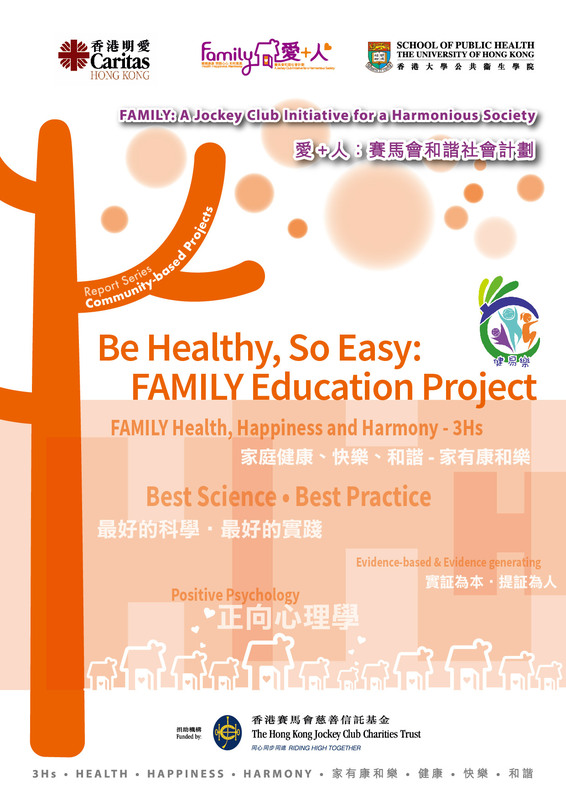 To promote positive parenting and enhance positive parent-child interactions, the project organized a series of family education activities to increase regular physical activity and a healthy diet among participants.